Handheld steam cleaners are an excellent way to keep your home clean and fresh without any cleaning liquids. This can save you time and money when compared to traditional cleaning methods. Read on to discover the benefits these little powerhouses provide along with considerations for purchasing one of your own. All your steam cleaner needs to provide a fantastic clean is water. The power of steam is able to penetrate and break up the toughest dirt and grime without any added chemicals. This is not only ideal for people with sensitive skin and allergies; it’s also great for the environment. Generally speaking the higher the wattage the better the results. A steam cleaner rated at 1500 watts will heat up much faster than a steam cleaner rated at 1000 watts. If you’d like to use your steam cleaner for outdoor applications such as cleaning a boat or grill, you’ll need the extra power to blast away the set in dirt and grime. Before purchasing any handheld steam cleaner, it’s important to understand what accessories will be included. 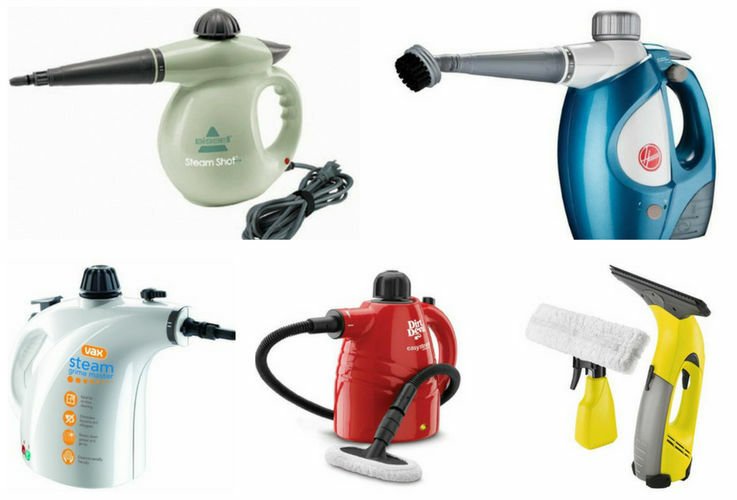 Without the proper accessories, your steam cleaner will be much less useful. While you may be interested in portability the size of the water reservoir will determine how much cleaning you can complete with every refill. Keep in mind that refilling your steam cleaner will require it to heat back up again which can take a long time.